As a global software brand delivering a wide range of products and services, IBM believes that the best offerings come from the best internal practices. They employ roughly 1,600 design professionals and another 100,000 IBMers have been trained in design thinking. Recognizing the transformative benefits of design, IBM sought to make both agile and design thinking core competencies across all parts of the organization. Moreover, they wanted to find a way to enable its 380,000 total employees, operating in 170 countries, to collaborate efficiently and effectively regardless of their global distribution. As an organization, they’ve put an emphasis on delivering great customer experiences. To accomplish this, IBM aimed to get its employees on the same page by shifting toward a culture of design and digital practices of co-creation. It’s about altering the makeup of our teams to ensure that more disciplines and skill sets are represented. In prior years, employees would heavily rely on in-person sessions when working on collaborative IBM initiatives. For their globally distributed teams, in-person sessions made scaling design thinking and agile extremely difficult and costly. Our mission was transformation. We were working to shift the company culture. We found that MURAL as a tool is an awesome way to bring whole teams, not just designers, into the work. Leveraging design practices across various company-wide teams was difficult but not entirely impossible. MURAL enabled IBM to successfully shift toward effective and efficient collaboration. Through MURAL, IBM was able to help both designers and non-designers learn how to utilize digital co-creation tools and propagate design values with ease. 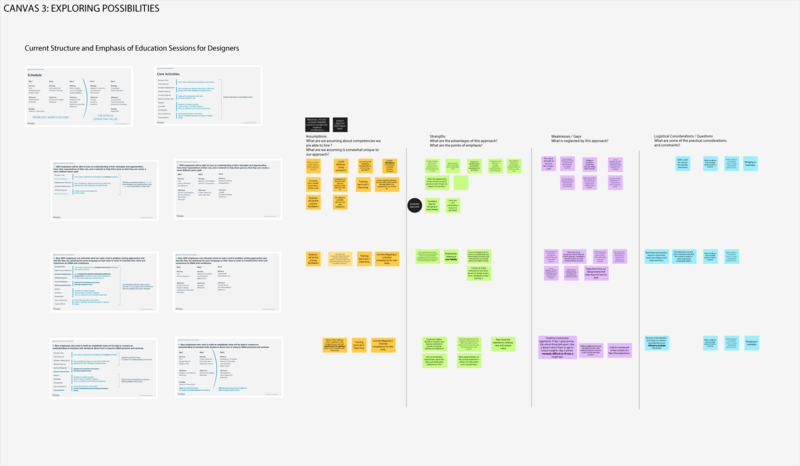 The new way of doing things simplified how IBM included more people into its design processes and increased the amount of work driven by design. The use of MURAL resulted in shorter adoption periods for employees learning how to implement design thinking practices into their collaborative work. Additionally, the ability to collaborate asynchronously while remote enabled co-creation phases to be streamlined while allowing for more room to iterate on projects when necessary. As a design professional, I’m able to spend more time doing my job rather than explaining what we are trying to achieve. MURAL commissioned Forrester Consulting to conduct a Total Economic Impact (TEI) study and examine the potential return on investment (ROI) that enterprises may realize from using MURAL. Forrester interviewed IBM to better understand the benefits, costs, and risks associated with MURAL, including both qualitative and quantitive. Click here to read the full report. In this webinar, we invited Joni Saylor - who leads IBM's Design Thinking global practice, and Dean Davison - the Forrester consultant who analyzed IBM's global deployment of MURAL, to explain the payoff of IBM's early investment in "virtual studios" and how MURAL enabled and accelerated the use of Design Thinking for IBM's global teams, reduced costs of travel, and improved productivity. Click here for the webinar recap, including video replay and presentation deck. 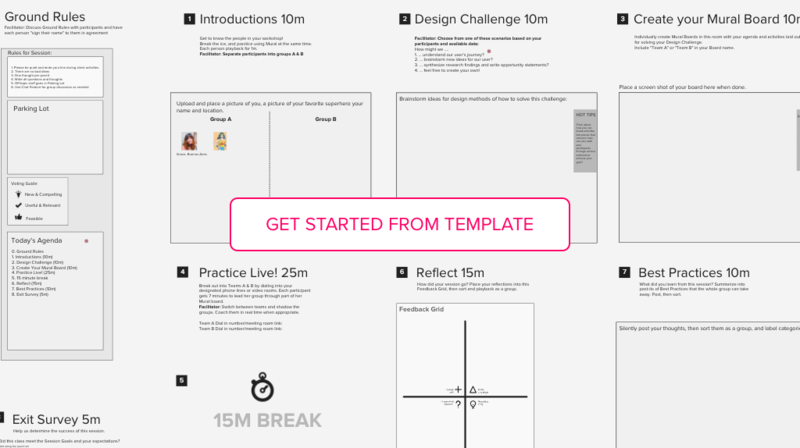 This template, designed by and used within IBM, will help you lead your team to grow their skills in remote facilitation and other best practices.